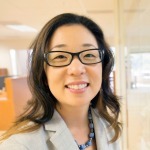 Dr. Michelle R. Weise (sounds like “nice”) is a Senior Research Fellow at the Clayton Christensen Institute specializing in disruptive innovation in higher education. Michelle works to inform policymakers, community leaders, academic administrators, and innovators on how the theories of disruption clarify our understanding of the changing academic terrain. She co-authored a book with Clayton M. Christensen about how online competency-based education will revolutionize the workforce and disrupt higher education titled, Hire Education: Mastery, Modularization, and the Workforce Revolution. Michelle’s commentaries and research have been featured in a number of publications such as The Economist, The Wall Street Journal, Harvard Business Review, Bloomberg Businessweek, The Boston Globe, Inside HigherEd, The Chronicle of Higher Education, and USA Today. Prior to joining the Institute, Michelle served as the Vice President of Academic Affairs for Fidelis Education. She has also held instructional positions, serving as a professor at Skidmore College as well as an instructor at Stanford University. Michelle is a former Fulbright Scholar and graduate of Harvard and Stanford.